Esp Kreuzer Cores LLP is proud to announce that partner Wendy M. Musielak has been named a Leading Lawyer in Illinois for 2018. This is the first time she has received this honor, having been named an Emerging Lawyer for the previous three years. Wheaton, Illinois, Attorney Wendy Musielak obtained her J.D. from DePaul University College of Law. Her family law practice focuses on the allocation of parental responsibilities, child support, spousal support, collaborative law, mediation, prenuptial agreements, litigation, and high asset divorce and complex mediation. Attorney Musielak was named the DuPage County Bar Association’s Lawyer of the Year in 2013. She has previously served as Chair of the Family Law Committee. She also is a member and former director of the DuPage Association of Women Lawyers. 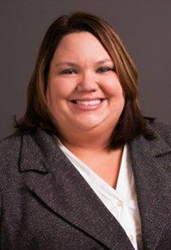 Musielak is a Fellow for the Collaborative Law Institute of Illinois and a member of the Kane County Bar Association, Illinois State Bar Association, and the International Academy of Collaborative Professionals. Musielak was selected for the Super Lawyers list of outstanding Illinois attorneys in 2018, after being on the Rising Stars list from 2014 to 2017. Musielak was recently named Second Vice President of the DuPage County Bar Association’s Board of Directors and is on the path to becoming the President in two years. Andrew Cores Family Law Group is a division of Esp Kreuzer Cores LLP. The Wheaton family law firm has effectively served clients in Northern Illinois since 1996. With offices located in Wheaton, Oswego, and Downtown Chicago. The experienced attorneys at Andrew Cores Family Law Group provide compassionate and skilled representation with matters pertaining to divorce, high-asset divorce, child support, child custody, collaborative law, and mediation. The Illinois family law firm is dedicated to obtaining the best possible outcomes for clients and their families. For more information or to schedule a consultation to discuss your legal matter, call 630-871-1002 or visit https://www.coresdivorcelawyers.com.